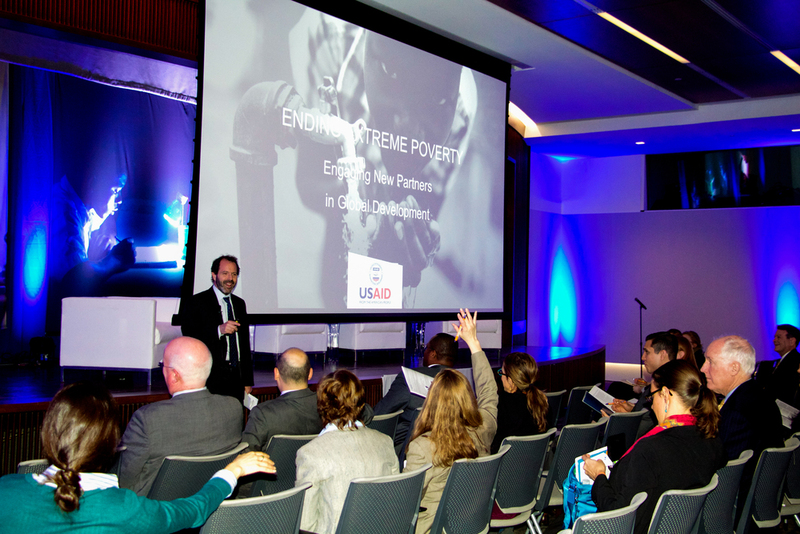 Hosted by the U.S. Department of State Secretary's Office of Global Partnerships, USAID, and Concordia, Global Partnerships Week was held from March 9-15, 2015 to celebrate public-private partnerships. 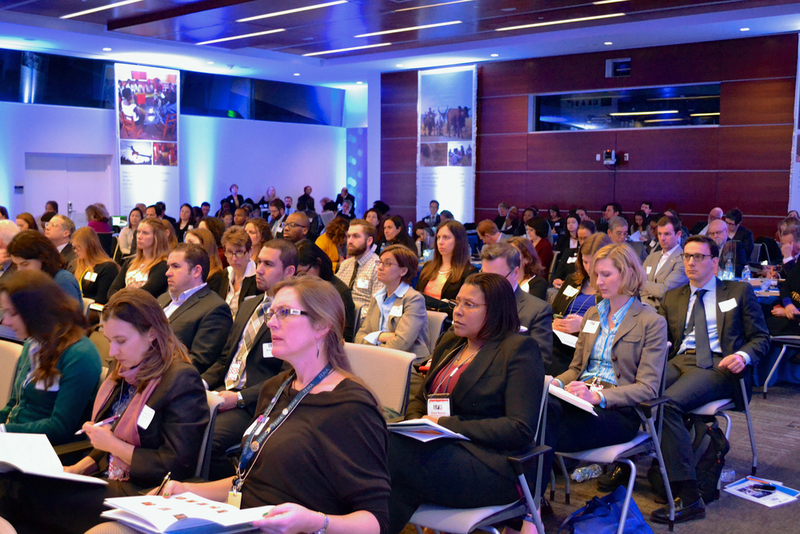 Events were held around the globe from Washington D.C. to Bangkok by public, private, and nonprofit sector partners highlighting the work of current P3s to share best practices, address common challenges, and explore new solutions when engaging in cross-sector collaboration. The P3 Impact Award was created by Concordia, the University of Virginia Darden School Institute for Business in Society, and the U.S. Department of State Secretary's Office of Global Partnerships to recognize and honor the leading best practices of public-private partnerships (P3) that are improving communities and the world in the most impactful ways. 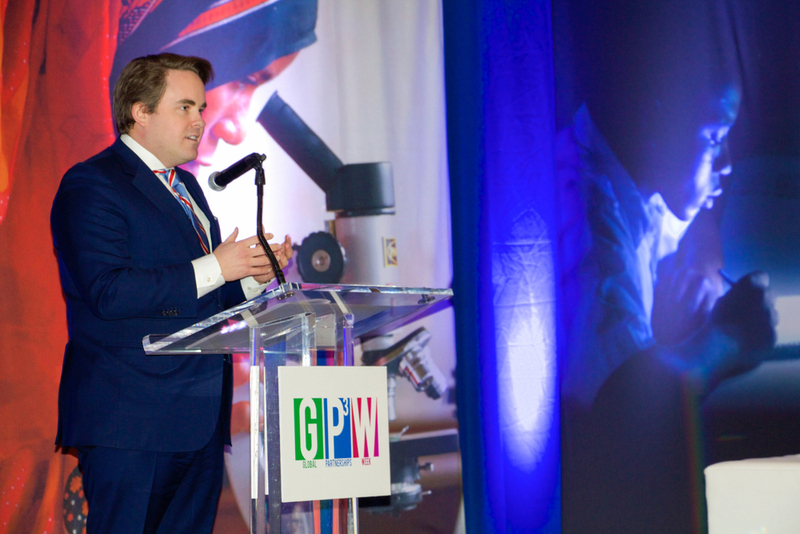 The award seeks to highlight the leading practices and actionable insights in the P3 arena. For this award, a P3 refers to any cross-sector collaboration that features public, private, nonprofit, or non-governmental organizations and addresses societal problems. In celebration of GPW2015, Office of the State Minister of Georgia for Diaspora Issues and Consulate General of Georgia to New York will host Georgian Diaspora Partnership Event. State Minister, Ambassador of Georgia to US and General Consul will address the Georgian diaspora community in CA, on strengthening diaspora partnerships and engagements in the Q&A format, followed by a reception. The Tech in Asia Bangkok Pitch Day is part of Tech in Asia’s “Bootstrap Alley Tour,” a 10-city startup competition. Participants in each city will have the opportunity to pitch their ideas in front of investors. On Thursday March 12th, as part of Global Partnership Week, the Council of Foundations will host a discussion on Philanthropy and Government: Public Private Partnerships and Government-Related Foundations. Stephanie Powers, Senior Director for Policy and Partnerships will moderate the panel, featuring Foundation experts from the private and public sector. Join Prakti Co-Founder and CEO, Mouhsine Serrar and others, for an enlightening discussion of innovation, impact and challenges preventing scale of the clean cooking sector. PYXERA Global Webcast, "The Importance of Tri-sector Partnership"
To move the needle on any of the Sustainable Development Goals, we need “tri-sector partnerships" championed by tri-sector leaders. How can the global engagement community create, maintain, and capitalize on the power of this kind of partnership? A by invitation brainstorming webinar analysing innovative financial structures that , conveniently tailored to a specific country, will robustly contribute to the implementation of national, regional and local plans to scale-up their strategic plans in the energy sector, focus on renewables, alternative energy, energy efficiency, passive housing, waste to energy. Twitter Chat on to promote USAID/Rwanda's interest in partnerships with the private sector. Hosted by The Intersector Project – a 501(c)(3) non-profit organization dedicated to advancing collaboration across government, business, and non-profit sectors – this workshop is designed for public administrators who are interested in learning and discussing successful strategies for cross-sector collaborations. As part of Global Partnership Week, SID-Washington will host a diverse panel that includes representatives from an NGO, a corporation, and a multi-stakeholder initiative to share their perspectives on forming and managing successful partnerships. Concordia and the American University of Afghanistan are pleased to be a part of Global Partnerships Week (GPW) and participate in a digital conversation highlighting AUAF’s impactful public-private partnerships. CollaborateUp Academy, a 2-day intensive, hands-on training workshop, provides attendees with the necessary principles and tools to structure cross-sector collaborations. Attendees experience the CollaborateUp Formula, a structured six-step process to structure partnerships, based on principles of Shared Value, Adaptive Leadership, and Lean Startup. Luncheon celebration with OU students and faculty celebrating various diplomacy lab projects and our partnership with State as secretariat for Diplomacy Lab. Fish 2.0 is a business competition that connects investors with seafood businesses giving them an opportunity to win over $180,000 in prizes, gain international visibility, find strategic partners and ultimately garner new investments for their businesses. Fish 2.0 is backed by a broad range of over 19 foundations, private investors and corporates. On the evening of March 9, 2015, Concordia will be hosting our Partnership Celebration Dinner at The White House Historical Association’s Historic Decatur House as part of Global Partnerships Week (GPW). 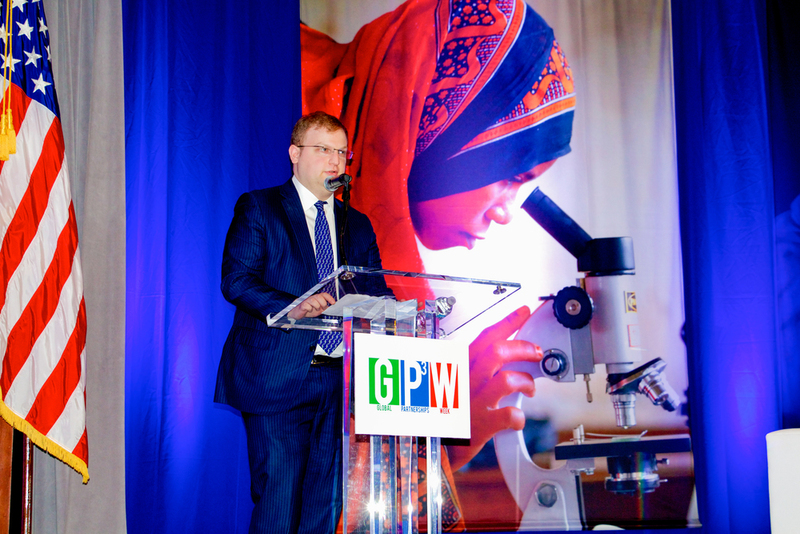 This GPW-supported reception will kick start the week's two-day Summit and a three-day interactive training. The Summit component is open to external participants and will help attendees better understand the dynamics of a healthy innovation ecosystems. The Center for Somali Women’s Advancement is delighted to invite you to and seek your support for the International Women’s Day celebration at the Ohio Statehouse. The celebration will be held on March 9th, 2015 at 11:30am - 2:30pm at the Ohio Statehouse Atrium located at 1 Capitol Square, Columbus, Ohio 43215. Wynton Marsalis and the Jazz at Lincoln Center Orchestra will be performing in Mexico City on March 7 at the Palace of Fine Arts. The African Diaspora Network will sponsor community dialogue series in order to build relationships with one another. Africans and friends of Africa will come together to share knowledge and resources to strengthen and enhance their capacity while growing professionally and personally.